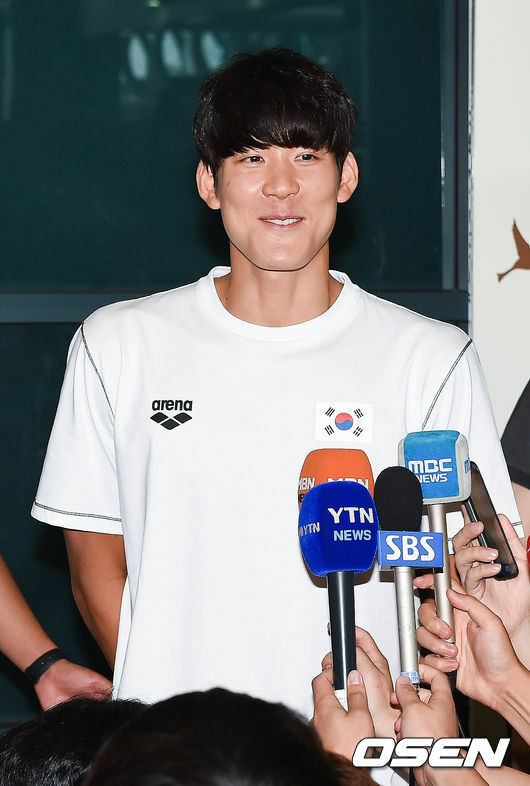 Olympic Gold Medalist Park Tae-Hwan Joins Cast of SBS "Law of the Jungle"
The production team of SBS’ “Law of the Jungle” reported that 4-time Olympic medalist Park Tae-Hwan joined the cast of the program in secret to their journey to the Northern Mariana Islands on October 31. The original cast took off to the islands as a group and Park Tae-Hwan closely followed them in secret by himself. As soon as they landed, the swimmer surprised the crew and officially joined the team to survive on the islands. According to a source, Park hesitated a while before deciding to appear on the program. Because he was an athlete, who had never been on a variety show as a part of the official cast, he worried that he would not fit in. However, based on the constant and sincere love call from the program’s chief producer Kim Jin-Ho, he decided to join just a few days before the filming started. Meanwhile, SBS “Law of the Jungle in the Northern Mariana Islands” with Park Tae-Hwan will air sometime in December.